Omega 3 supplements can give antidepressants a boost, particularly in those people who don’t respond well to the medication, a new study has found. The international evidence review reveals fish oils, and Vitamin D, can increase the effectiveness of antidepressants used to treat clinical depression. S-adenosylmethionine (SAMe), which is a relatively new synthetic supplement found in chemists, was also found to be beneficial. University of Melbourne and Harvard researchers examined 40 clinical trials worldwide from the 1960s to today alongside a comprehensive evidence review for using nutrient supplements (known as nutraceuticals) in tandem with common classes of antidepressants. The University of Melbourne’s Dr Jerome Sarris led the National Health and Medical Research Council-funded analysis, published in the American Journal of Psychiatry. 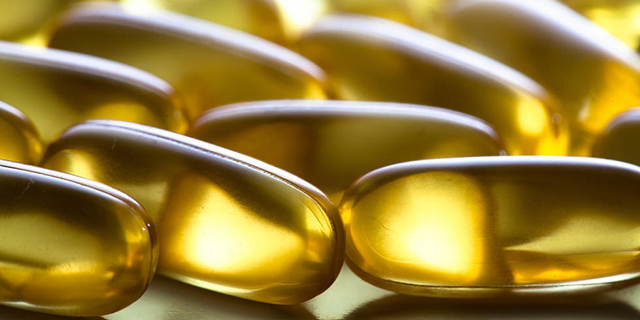 “The strongest finding from our review was that Omega 3 fish oil – in combination with antidepressants – had a statistically significant effect over a placebo,” says Dr Sarris, who heads up the Arcadia Mental Health Research Group looking at nutraceutical, lifestyle factors and plant-based medicines for health. “Many studies have shown Omega 3s are very good for general brain health and improving mood, but this is the first analysis of studies that looks at using them in combination with antidepressant medication. “The difference for patients taking both antidepressants and Omega 3, compared to a placebo, was highly significant. There is evidence that people who have high levels of Omega 3 seem to be protected against depression and people with less have a greater risk of developing depression. Depression can also cause oxidative stress to the biology of the brain, which in turn, increases the body’s demand for Omega 3. Omega 3s also affect neurotransmitters in the brain, such as the mood-regulating chemical serotonin. Many classes of antidepressants work by changing the balance of these brain chemicals. Combining the two, researchers say, could give depression sufferers the extra boost they need to recover. The University of Melbourne research team also found good evidence for methylfolate, Vitamin D, and SAMe as a mood enhancing therapy when taken with antidepressants. They reported mixed results for zinc, vitamin C and tryptophan (an amino acid). Folic acid didn’t work particularly well, nor did inositol. “A large proportion of people who have depression do not reach remission after one or two courses of antidepressant medication,” Dr Sarris says. Dr Sarris says medical professionals may be hesitant to prescribe nutraceuticals alongside pharmaceuticals, simply because there has been a lack of scientific evidence around their efficacy. “Medical practitioners are aware of the benefits of Omega 3 fatty acids, but are probably unaware that one can combine them with antidepressant medication for a potentially better outcome,” he says. The researchers found no major safety concerns in combining the two therapies, but stressed people on antidepressants should always consult with their health professional because supplements can differ in quality. “We’re not telling people to rush out and buy buckets of supplements. Always speak to your medical professional before changing or initiating a treatment,” Dr Sarris says. The researchers are currently conducting a NHMRC study in Melbourne and Brisbane, using a combination of these nutraceuticals for depression. Professor Michael Berk, who holds joint appointments at the University of Melbourne’s Department of Psychiatry, the Florey Institute of Neuroscience and Deakin University, says depression is one of the biggest public health problems of our age. “Certainly in the developed world, depression is the largest cause of disability and there is great consternation about the inadequacy of pharmaceuticals to meet the health burden,” Professor Berk says. “About a third of people with depression on antidepressants do not respond to treatment, another third have a modest benefit, and one in three do very well. Professor Berk says although medical practitioners may be sceptical about natural supplements, there’s a good chance their patients are already taking them. “There are very high rates of supplements taken by people with depression, irrespective of whether doctors know they are taking them or not. This article first appeared in Pursuit. Click here to read the original.